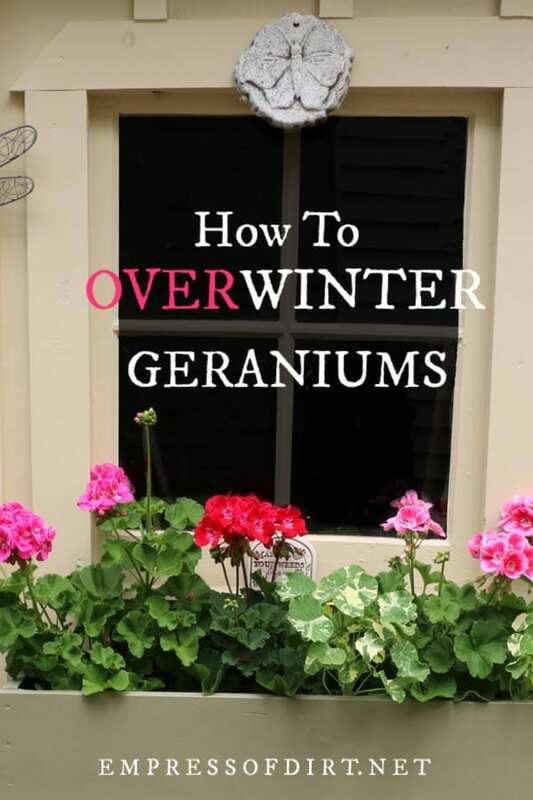 There are several ways to overwinter geraniums (Pelargoniums) from your garden. With some newspaper, a cardboard box, paper bag, or a sunny windowsill, you can keep these tender perennials for the winter and have fresh blooms next spring and summer. I’ll walk you through the options and provide winter care tips. If you have trees in pots, this shows how to overwinter a potted tree to keep it safe for the winter. 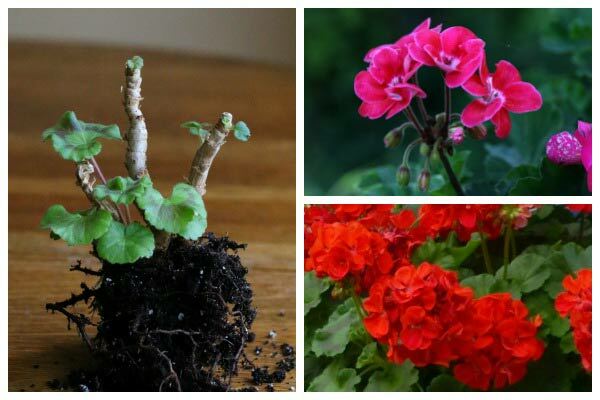 Gardeners have all sorts of ways to keep geraniums over the winter and regrow them in spring. I like to save particularly beautiful specimens, knowing I may not be able to find similar ones at plant nurseries next spring. Some gardeners save them as family keepsakes, both overwintering the plants and taking rooting cuttings to ensure they survive for years. There is some name confusion with these plants. The Geraniaceae family of plants includes Geranium (430 species), Pelargonium (280 species) and Erodium (80 species). We commonly refer to Pelargoniums (Pelargonium x hortorum) as ‘geraniums’ but that’s actually another genus in the family. I’m using the two words interchangeably here. Many Pelargoniums grow as bush-type plants with thick, succulent stems, which is why they are good candidates for winter storage. The flowers are traditionally red, salmon, violet, white, or pink. While they are sold as annuals, they are actually tender perennials, and tolerate temperatures down to about 45°F (7°C). Their sweet spot is between 55°-65°F (12°-18°C), which is ideal for indoor growing as well. 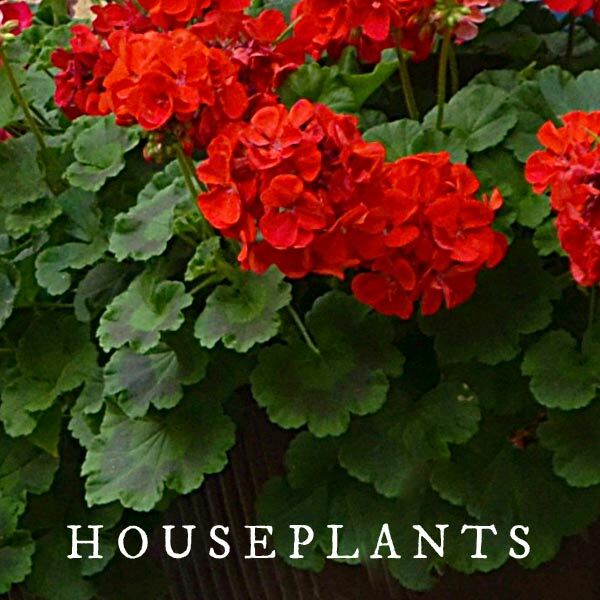 If you have room for the pots in a sunny location, you can bring your potted geraniums (Pelargoniums) into your house for the winter. While they need sun, they do best with moderate temperatures 55°-65°F (12°-18°C). I have great success with a west-facing window that is slightly drafty, keeping the air around them a little cooler than the rest of the house. There is some preparation necessary to ensure they are happy, healthy, and insect-free. If your geraniums are in the ground, dig them up and pot them about six weeks before first frost. If they are already in pots, you can repot them if desired but hard prune and do your bug inspections first (see below). While potting, trim back any super long roots or any gnarly root balls. Use potting mix suited for flowering plants in containers. Sort your geraniums by colour and tag them if you want to keep track. It is commonly advised to cut back the entire plant by one-third to one-half. You should also remove any dead, damaged, moldy, unhealthy, or diseased parts. While this hard pruning is best in the long run, you can try keeping any buds or flowers if the plant is otherwise nice and healthy. Check for aphids, spider mites, fungal gnats, and other sneaky beasts. Apply an insecticide made specifically for transitioning plants indoors. Water moderately, and get your plants settled in a sunny but not hot location. Keep moist, not dry or damp. Mist of humidity is low. Begin to harden off (prepare plants for life outdoors) a few weeks before last frost. 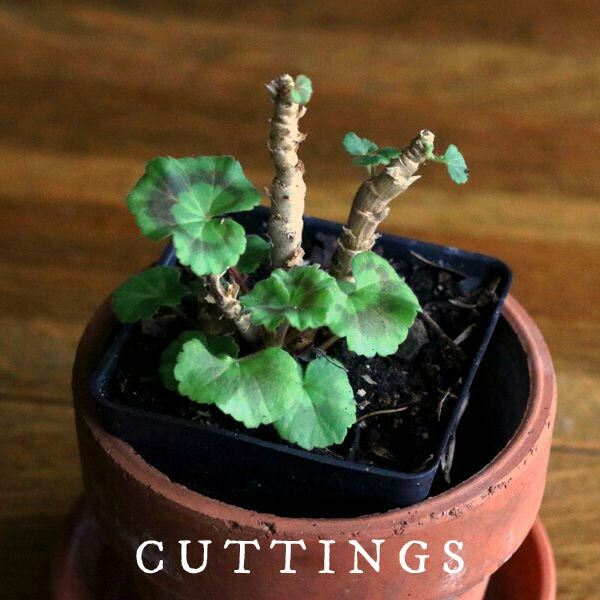 Instead of bringing the entire plant indoors for the winter, you can also take cuttings. This is a good solution if space indoors is limited, or you want more plants. For step-by-step instructions, see How to Take Cuttings from Geraniums. I find this method is unreliable—some years the geraniums do fine, other years they don’t—but it’s not a bad choice if you just want an easy option and don’t mind if the plants die. 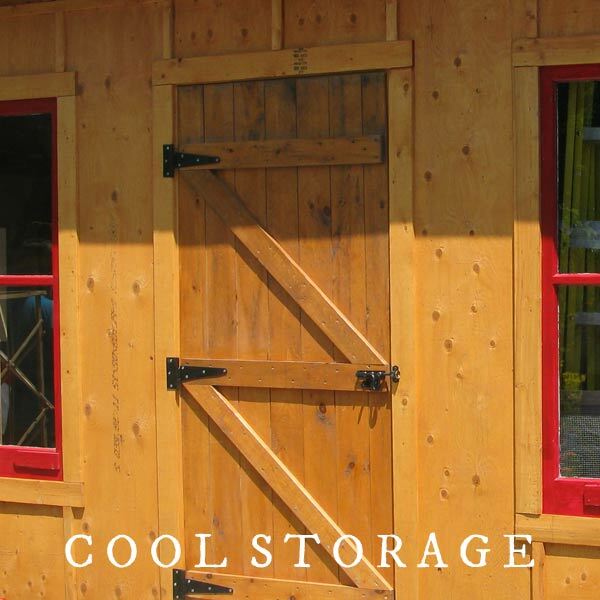 You’ll need a cold storage space like a garage, shed, cold cellar, or unheated basement that does not dip below freezing. It’s the soil temperature that matters and you can measure that with any simple kitchen thermometer like this one with a probe. Clean up your potted geraniums by removing dead, damaged, moldy, diseased parts, and cutting the entire plant back by one-third to one-half. Check and treat for insects. Water deeply and place in storage. I like to place some rods in the soil and hang a blanket over the whole thing. Check monthly or more often and remove any moldy or dead parts. Water lightly every now and then. In spring, gradually reintroduce to outdoor light and normal watering routine. This is a popular method that has been done for generations. You’ll need a garage, shed, cold cellar, or unheated basement that does not dip below freezing or go beyond 45°F. We call it ‘bare root’ storage because the plant is removed from the soil, pruned, and placed in cool storage. Pelargoniums can handle this because of their thick, succulent roots, which survive so long as they do not dry out or become diseased. First, plan to label your plants if you want to keep track of the flower colours. You could store them in groups by colour or place tags (loosely) around their roots. I write the details on little strips of cardstock and staple it like a wristband around the stems. Gently shake off all loose soil. You can air dry the plant for a few days and then shake off more soil. Whatever you do, you don’t want the plants to get damp or sit on moisture because they are prone to mold. You do, however need to keep them watered, and not allow them to dry out (they’ll die). Suspend the plants from ceiling hooks. Place in paper bags and hang from hooks or set on shelf. Wrap in newspaper and sit on shelf. As far as I can tell, the advice to always hang the plants upside-down for better results seems to be a wives’ tale. Check on your plants every week or two. I put a reminder in my computer calendar. The plants should remain firm, not withered or unhealthy looking. Remove any mold, black parts, or dead matter. Soak in warm water for one to two hours each month. Allow to dry before returning to bags, newspaper, or box. Prune as needed and remove any excessively long roots. Pot in moist potting mix, burying the plant two leaf nodes deep (these will form roots). New growth should appear in 1-2 weeks. Gradually introduce to life (harden) outdoors in anticipation of last frost. 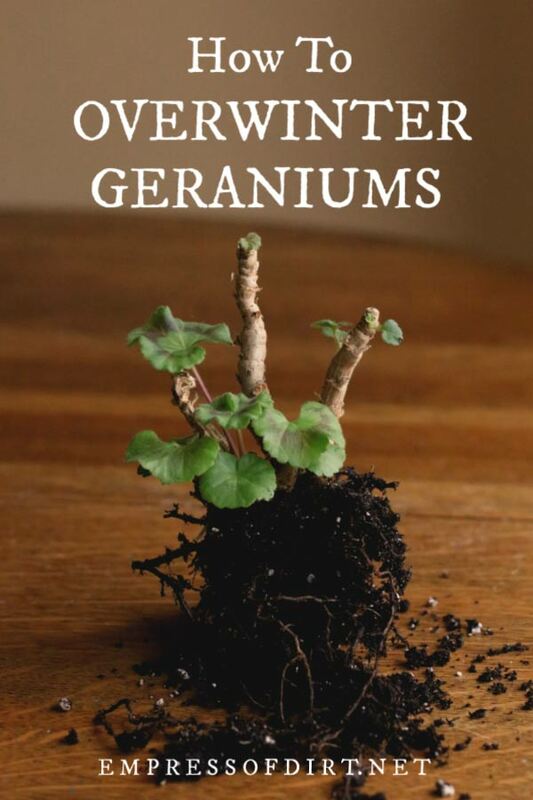 1 Can I overwinter my geraniums in Canada? The United States? UK? Yes, it does not matter where you are, it matters what conditions you can provide during the colder seasons. With all options (listed above) so long as the plants do not freeze, they can survive the winter. 2 How to I winterize my geraniums indoors? You can keep them as houseplants, keep cuttings, or store the bare roots in a dry, cool location. 3 Can geraniums survive a freeze? No, geraniums (Pelargoniums) are tender perennials, hardy down to about 45°F. True geraniums (genus geranium) like cranesbill are hardy perennials. 4 Can I grow geraniums (pelargoniums) from cuttings? Yes, you can take cuttings any time in the growing season and root them for new plants. I have 8 potted Geranium plants. 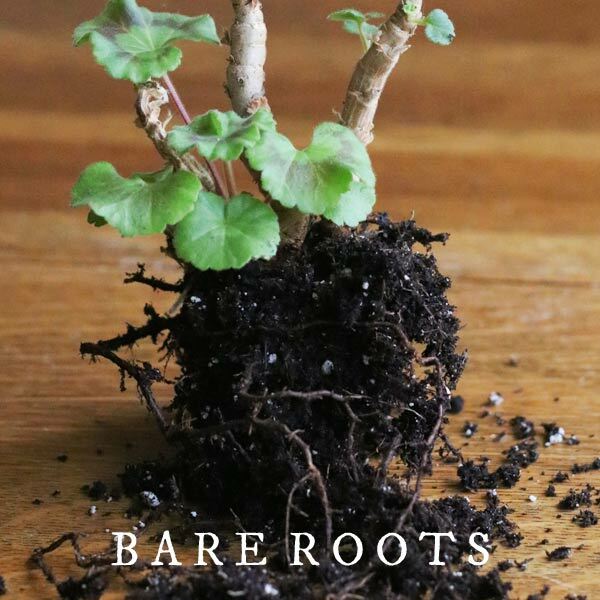 Two winters ago, I was successful overwintering with the bare root method. This past winter, time got away from me and they remained in their pots in the garage. Each pot has a plant(s) with green somewhere on the plant. I’m going to trim the dead branches and introduce them to natural light. Should I transplant each into a pot with fresh soil or just water and fertilize? Good question. Depends on whether you think the current potting mix is still nutritious. If it’s old, repot now and give a fresh start. Personally, I don’t fertilize plants like that so no advice to offer on that. I just rely on good potting mix with compost. Glad they made it! Do you think 48 hours give or take 12 of freezomg temps killed my geraniums? I just brought them in after forgetting. They are in deep pots and were on the porch off of the ground. I am new to geraniums. I will be a little sad if I lose them but better prepared for next year. Impossible to tell but it wouldn’t surprise me if they were fine. I’ve left some out all winter and they made it through. All depends on whether the frost/ice gets to the roots or not. Let me know how they do! I had an elderly friend who was going to leave her luscious geranium out as super cold weather was coming. I offered to bring it into my home since she was going south for the winter. It was great indoors during the winter and went out in the summer and in the next winter and even more gorgeous this past summer. If it’s in a pot and you have the room to bring it doors…save it! Yes, they do nicely inside. Thanks, Bright! Hi Pam, There could be several causes. I found with my indoor geraniums that they did best with some neglect: slight under- rather than over-watering can make the plant produce flowers. When they’re too comfortable they have no reason to reproduce. Light, soil (nutrition), and water are always the main suspects with any indoor plant question: always good to think over these things and see if something could be adjusted. I found out by accident one year that my geranium actually needed to be neglected! I left it unpotted and carelessly thrown in a cardboard box in my dark and very cool garage until I remembered about them in February. By that point they looked VERY DEAD but my favourite gardener (also my mother!) said to plant them anyway. I did, and two of them had survived the neglect and went on to thrive. I think the dark and cold for an extended period sent them into dormancy and they like that. That’s my (very little) experience. Great information! I always just threw them away! Not this year! Thanks!